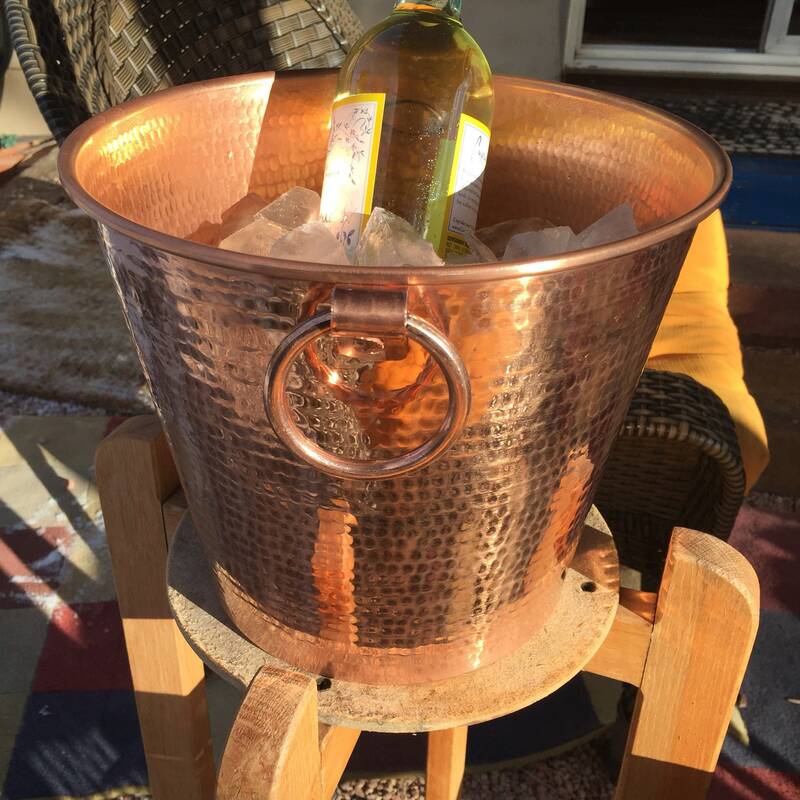 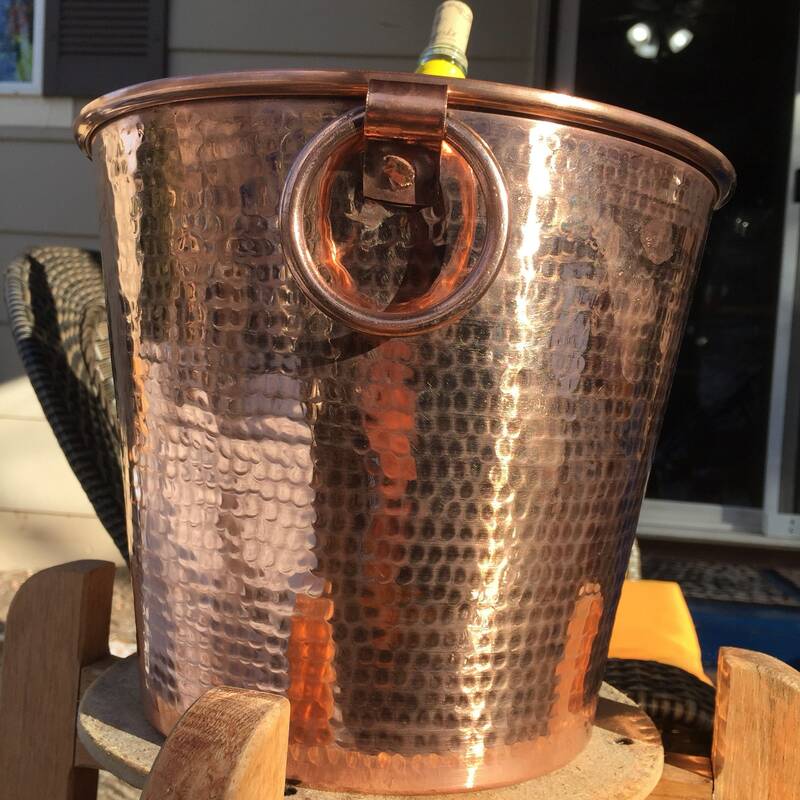 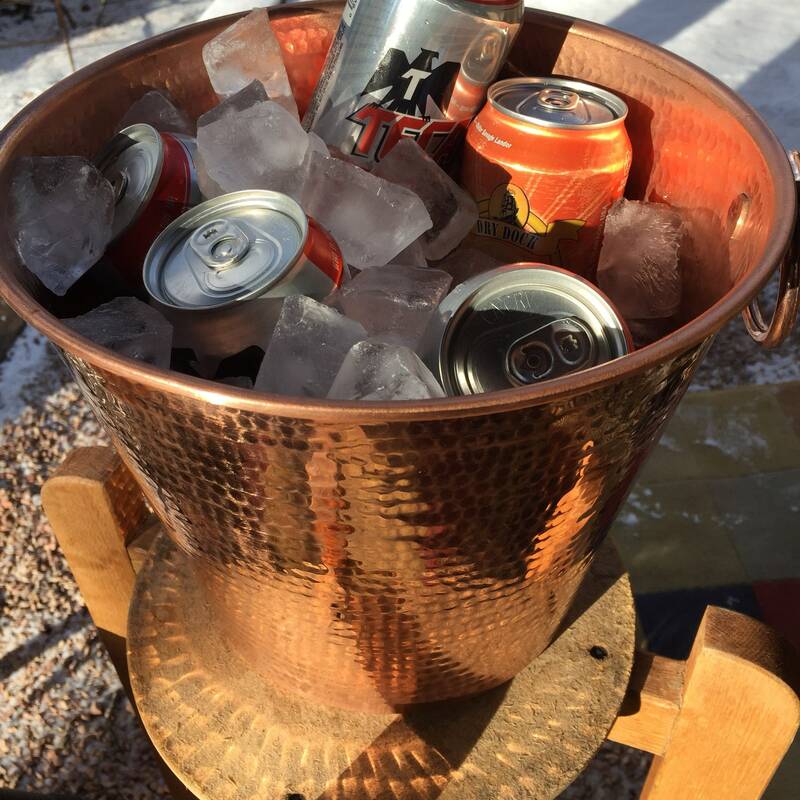 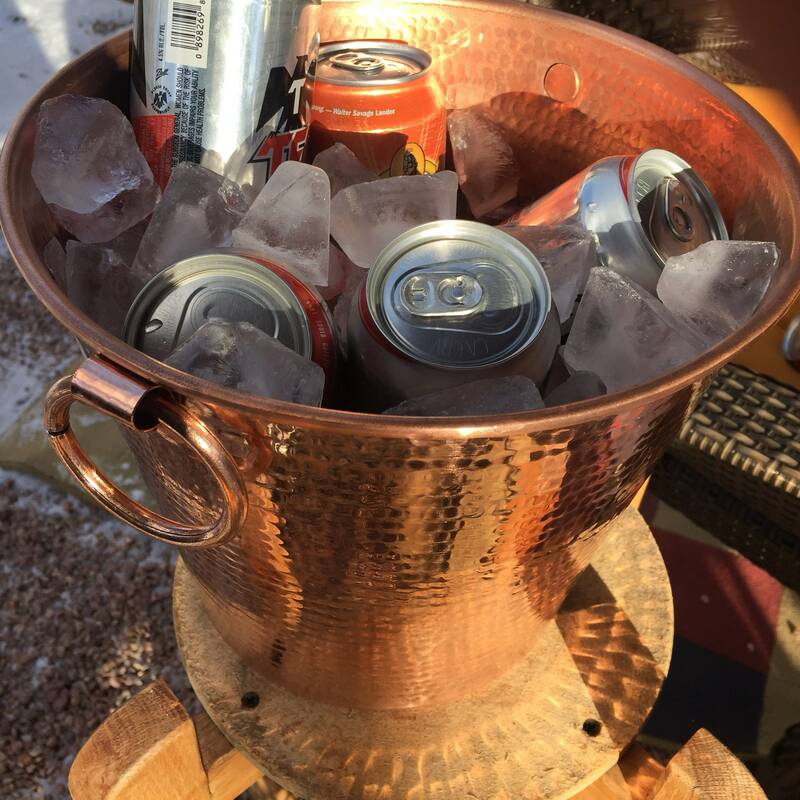 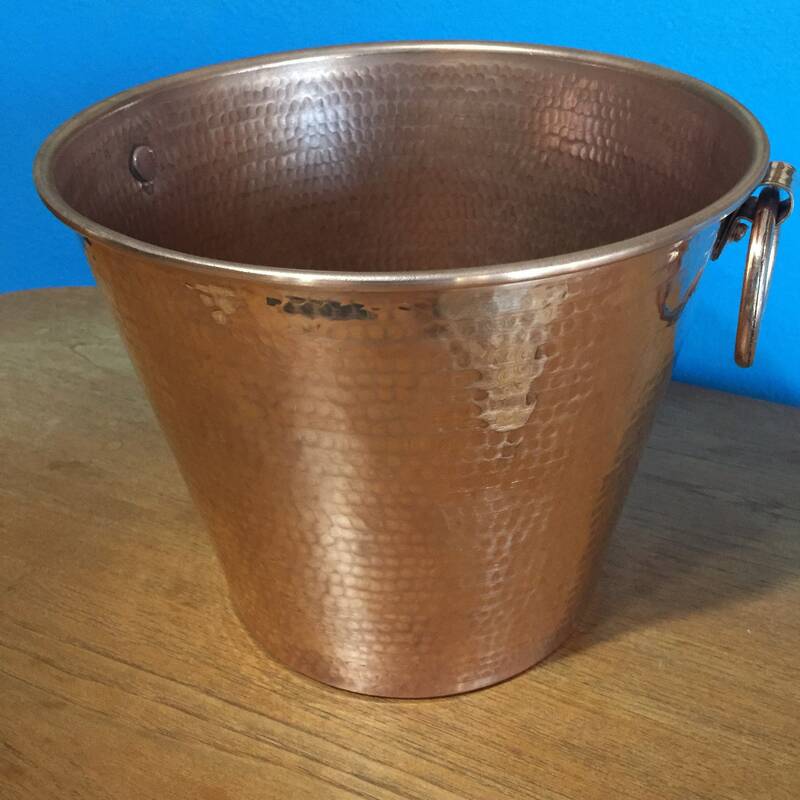 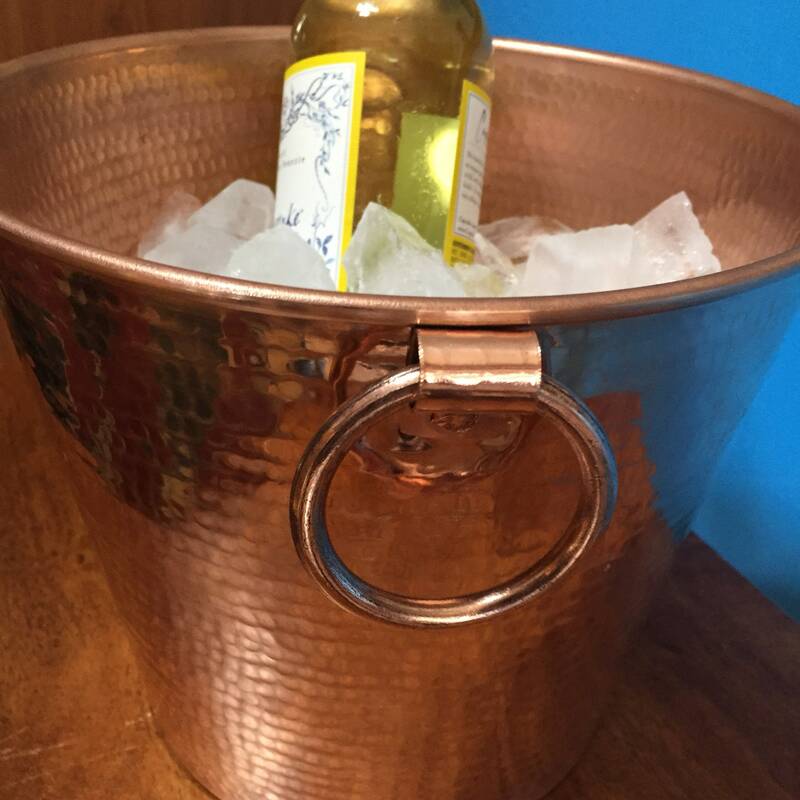 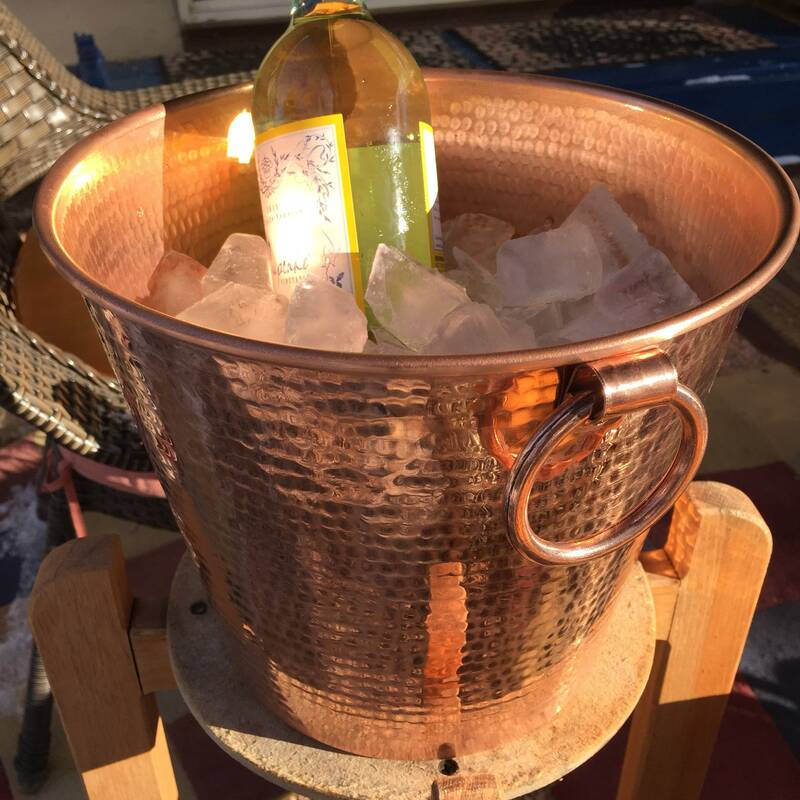 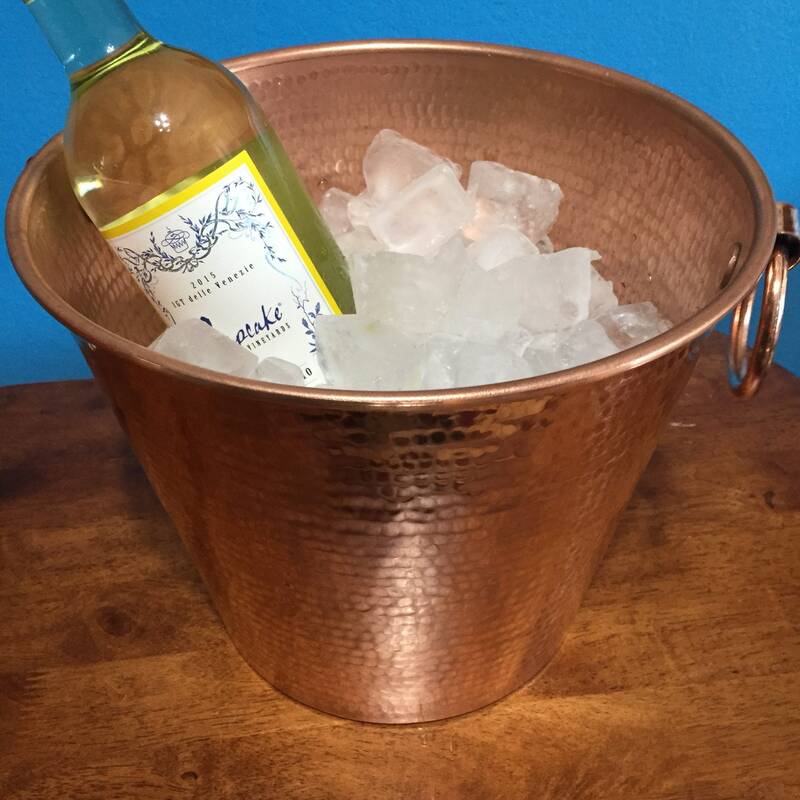 Hammered Copper wine bottle chiller / ice bucket (10 1/2" diameter x 8 1/2" h). 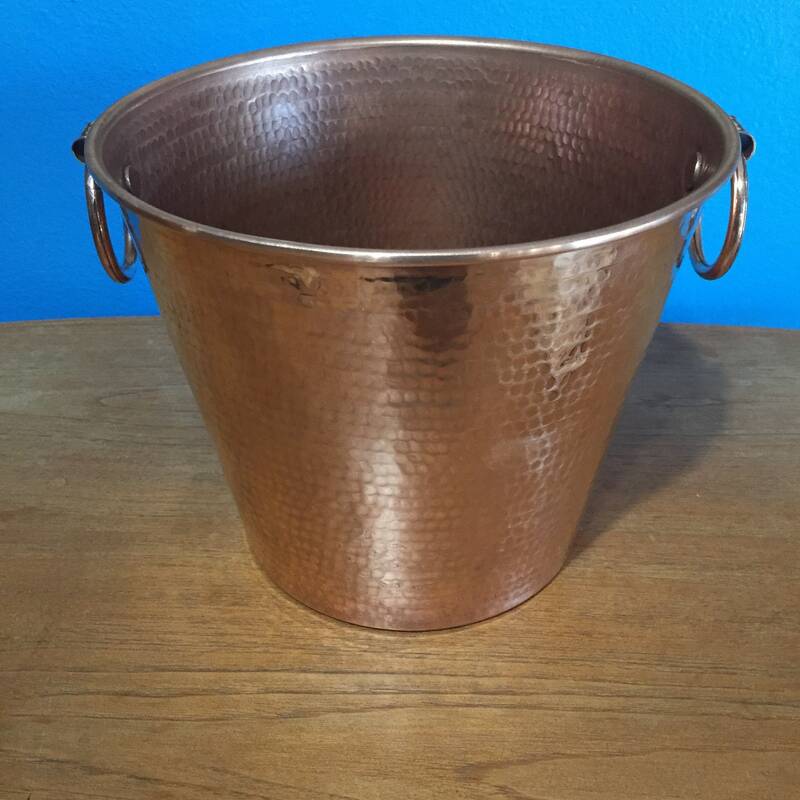 Beautifully handcrafted pure copper made with thick gauge pure copper giving this a solid sturdy feel. 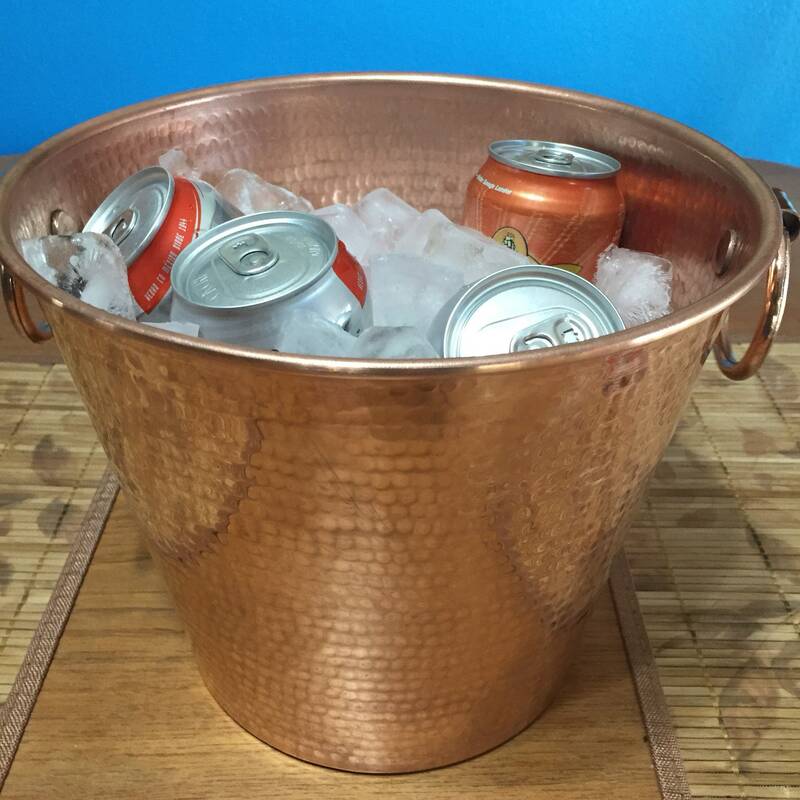 Copper ring handles (riveted).